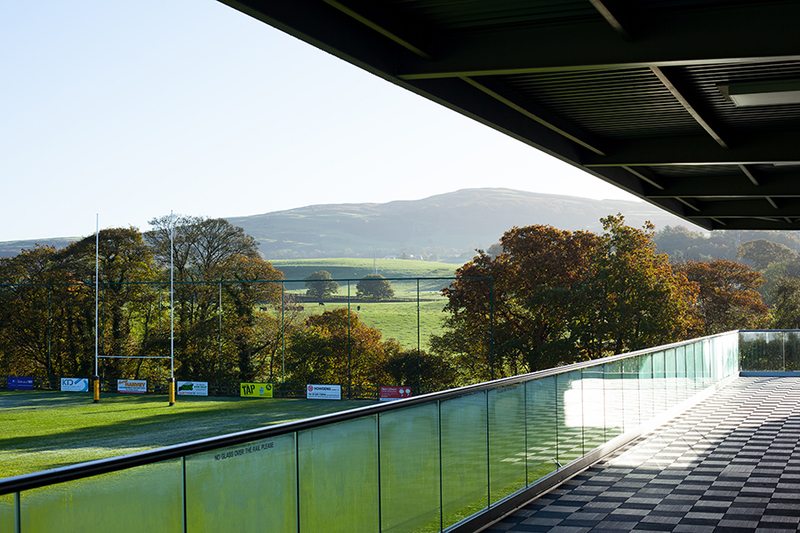 Mintbridge - the new home of Kendal Rugby Club - opened in September 2017. Our 12 acre site provides a state-of-the-art sports and event facility superior to any other in Cumbria. We offer venue hire and pitch hire for every scale of sporting event - from small community activities through to significant competitive events and festivals. A 12 acre site on the edge of the Lake District National Park World Heritage Site. With two full pitches, additional training areas, ample parking and spacious facilities, Mintbridge is a versatile venue for all categories of sporting events. From cycling sportives to motorcycle festivals. Mintbridge is fully equipped to support any sporting event. Our site has ample parking and accessible changing facilities. Our event team can support you in organising additional services and functions as your event requires - from security to soundsystems. At Mintbridge, we can support your event with tailored catering and hospitality to suit your needs. Upstairs, our state-of-the-art Kentdale Suite and stunning Lounge Bar can be used for any part of your event - from registration and presentations through to refreshments, dining and entertainment.